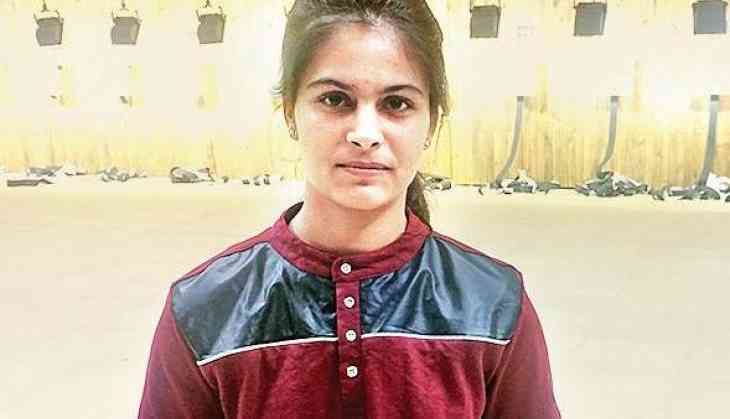 Manu Bhaker, who recently earned a quota place for the Beunos Aires 2018 Youth Olympic Games scheduled for October, bagged a gold medal in the women's 10m Air Pistol event, to put India firmly on top of the medals tally in the year's first International Shooting Sport Federation (ISSF) World Cup here in Mexico's Guadalajara last evening. Earlier, Ravi Kumar won his first World Cup medal- a bronze in the men's 10m Air Rifle event. That was India's fourth medal of the competition with Shahzar Rizvi and Jitu Rai winning Gold and Bronze, respectively in the men's 10m Air Pistol and Mehuli Ghosh winning Bronze in the Women's 10m Air Rifle respectively, on Day One of competition.